HomeTabloidRelationshipsIs Facebook Safe for Teens? A question is arising now a day that either facebook is safe for the users or not? 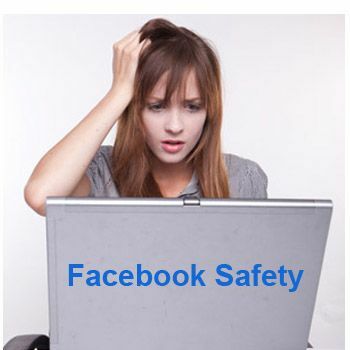 Facebook can be safe as well as dangerous for user but it depends upon the user. If he or she follows the safety measures it can be worth paying unless to create problems and put the user on risk of cyber crime. In matter of social networking, people especially teens spending lumps of time sitting in front of computer screen. Spending of so much time on facebook puts them on the risk to become the victim of cyber crime. For this reasons, parents should take interest in facebook safety tips for their kids. The dangers listed above are real and happen every single day on Facebook. To avoid the many dangers associated with Facebook, parents must teach and utilize Facebook safety tips for kids. To make the facebook use secure for the teens, parents should talk about the dangers of facebook and give them few rules to follow. – Teens should be taught to never give out login/password information to people who may ask for it online. Similarly, they should be instructed to never give out personal information such as phone numbers, addresses, and birthdays either. – Profile must be “private.” A private profile can’t be viewed by people unless they are friends with the child, while “public profile” view will allow strangers unlimited access to the profile. – Posting pictures on Facebook can be dangerous, parents should not allow this. Online sexual predators can misuse the photos. If a parent does allow his or her child to post photos on Facebook, teens should be instructed to post head shots only. – Children should not be allowed to accept friend requests from strangers. It will greatly reduce their chances of being exposed to the many dangers that Facebook can bring about. – Facebook has a chat feature that can also pose a problem. To protect children on Facebook, it is important that parents practice internet control and monitor the settings by keeping the “chat” feature turned off. Doing this will allow parents to better control who their teens are talking to while on the website. – Facebook can be addicting. If a teen feels the constant need to be on Facebook, spends excessive time on it, and gets angry when Facebook privileges are taken away, he or she may be addicted. Teens should be aware of what Facebook addiction is and instructed on how to overcome it. – While talking to teens about internet safety is recommended, there is another option available to help increase the level of security and make Facebook a safer place for teens. Parental control software designed specifically for parents who are concerned for their child’s safety on Facebook can help. Websites such as minormonitor.com have designed parental control software to aid parents in protecting children while using the website. The above mentioning safety tips for teens can help to add on parental control to protect their teens from the many dangers presented by Facebook.